While it is agreed that food is a basic need, data from the Food and Agriculture organization shows a third of what gets produced is wasted. It is likely that you are contributing to this waste meaning that you are losing money. One way to help cement your decision to cut your food budget to perhaps even more than half is getting a reality check. Every food item that ends up in your bin is you throwing money in the bin. That is money that could go into savings, or pay for that thing you've been saying you’re too broke to purchase. Once the truth hits home, consider adopting the below steps to help spend less on food monthly. Not having a meal plan in mind could be the reason you’re wasting money. 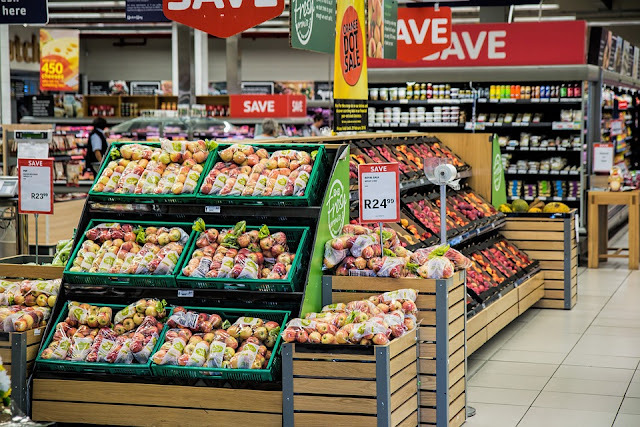 Going grocery shopping and purchase food both perishable and packaged based on what you think you might want to eat leads to waste. Consider how many times you've had to bin veggies and fruits because you didn't get round to using them? However, with a meal plan, you know exactly what you need and the quantities to prepare the meals. Also, don’t forget the snacks. Done weekly or monthly, you’ll immediately notice the savings and reduction in food waste. Choosing between making a fancy meal and doing the old feels like a child custody mediation process; which one will land on your plate? There’s an easy way. There are myriads of sites and apps that show you how to make tasty meals with five or fewer ingredients you can find on your pantry at any one time. You can still be gourmet on a budget and stick to dishes with multiple components for special occasions. From the meal plan, you will know what to purchase. However, some things stay on the shelf longer, and you’re likely to forget if you don’t make a note. Apart from what your recipes require, keep a list on the kitchen counter top or a fridge magnet to write down what’s depleted. When you go shopping, that means you won’t have to guess what’s left and what isn't to avoid having excess food at any given time. When you’re hungry, quick meals and snacks seem like a great idea. During this time you’ll convince yourself that the extra-large bag of pretzels will make a perfect snack for days you equally feel hungry. We often go into an entire rationalization process that has us purchasing more than we need. You don’t need that extra chocolate bar.